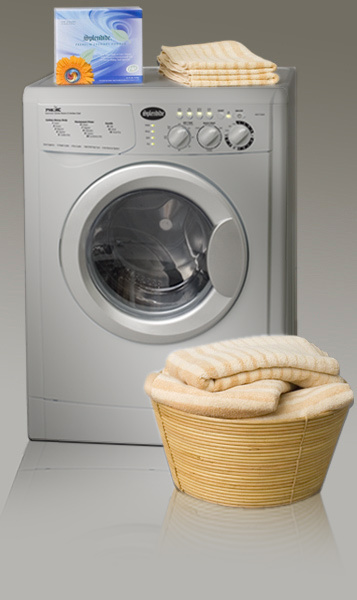 Splendide is a well-known brand when it comes to laundry appliances. We have the WD2100XCP and WD2100XC ranked on #7 and #8, which are, hands down, among the best combos ever made. In this review, we will introduce Splendide 7100XC combo, designed specifically for multifamily housing customers. 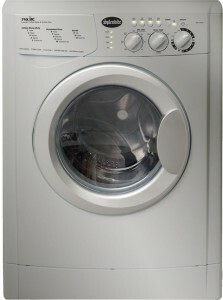 The washing procedure is pretty much the same as the two aforementioned combos, but the drying is slightly different – with a unique condenser drying system. Efficient and effective, this ventless combo offers wide range of installation possibilities since it doesn’t require outside venting. Capacity (cu.ft. ): 2.1 cu. ft.
Easy to use controls with LED display that shows the current cycle status. Large 11.5″ door opening – great feature when it comes to loading and unloading. Unique condenser drying technology that allows for better drying performance. Great mobile durability due to well constructed internal components. “Add-an-item” feature that allows you to add an item during the cycle. Water level control that helps preventing overusing water. 15 lbs. wash capacity, 11 lbs. dry capacity. 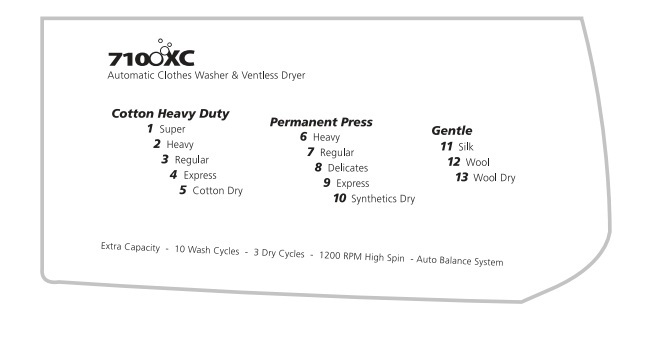 Efficient and convenient drying cycles. 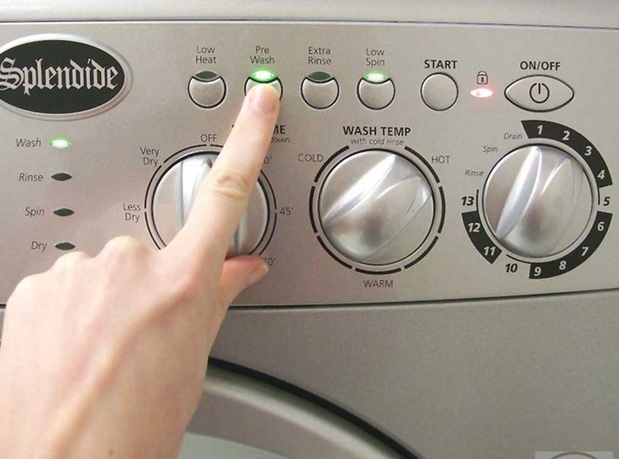 Dry Programs: Rinse, Spin, Drain. Wash Temp with cold rinse: Hot, Warm, Cold. Options: Adjustable water temperature, low heat, bleach option, pre wash, extra rinse, low spin, silk and wool cycles, variable dry timer. 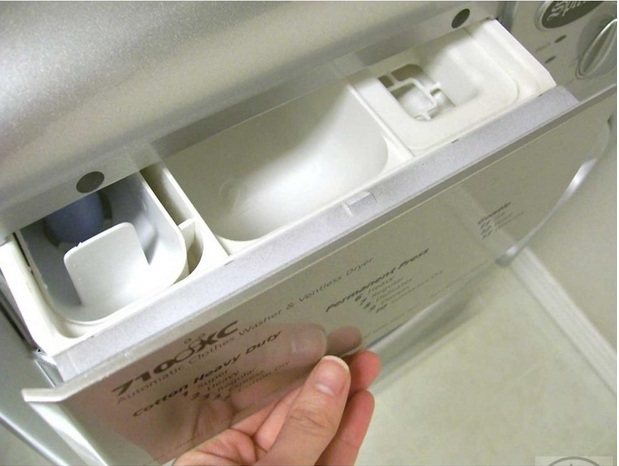 Tray Dispenser: Bleach (with bin), prewash detergent (without bin), powder detergent, fabric softener. Ratings Electrical Requirements: Max. Current 11A, Rated Current 15A, Voltage 120V, Frequency 60Hz, Heating Power 1,300W. Unfortunately, I couldn’t find a video related to this appliance. Super silent – you won’t be disturbed when it’s working. Built tough in order to withstand the rigors or everyday use. Users have experienced lint problems. Conclusion: A good capacity and more cycle options are the main reasons why this washer/dryer combo has a good customer satisfaction. 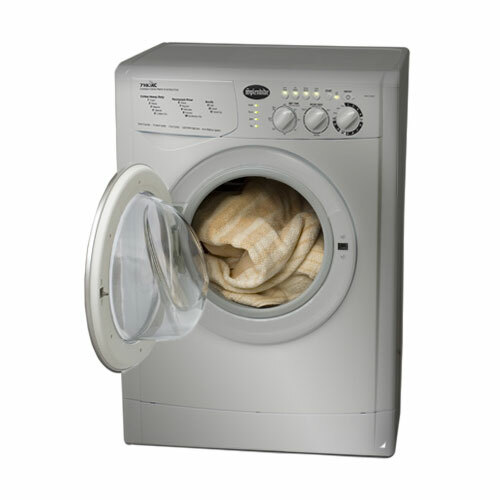 However, the lint problems and the long performance are large drawbacks.